The letter B is for bunny especially at Easter! 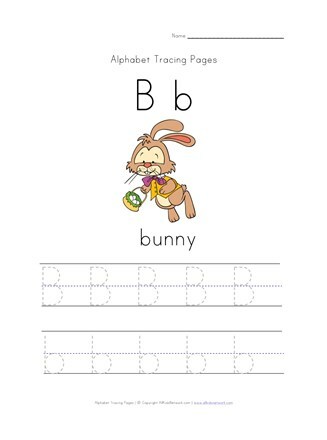 This Easter themed alphabet worksheet shows a capital and lower case B on the page along with a picture of the Easter Bunny. Children are asked to trace each of the upper case and lower case letter B's on the page.